Then-National Security Adviser Susan Rice did at times ask that certain names in intelligence reports be “unmasked” in order to understand the context in which they were mentioned in intelligence reports, a former national security official told CBS News. 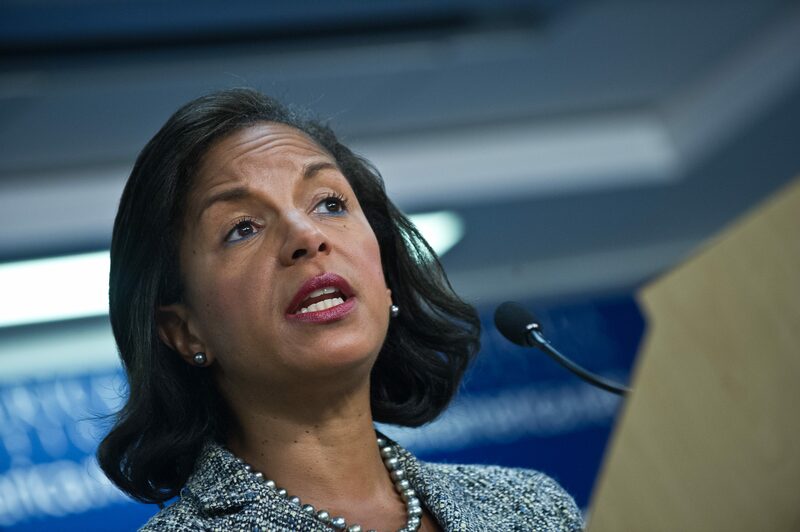 Rice asked for the identities of those Americans picked up during surveillance of foreign nationals when it was deemed important context for national security, and she did not ask that the information be disseminated broadly, according to this former official. A Monday report by Bloomberg’s Eli Lake said that Rice requested the unmasking of Trump officials. Names of Americans swept up incidentally in the collection of intelligence are normally masked, or kept redacted, in intelligence briefings. However, the law provides for much leeway when it comes to unmasking by National Security Council officials, which suggests that Rice’s request was legal. This type of request was not a special practice related to the Trump transition team, though the former official did not dispute the reporting by Bloomberg. As a procedural matter, an intelligence briefer would have had to clear a requested unmasking with the head of the agency providing the intelligence. It is unclear why these intelligence intercepts were considered so important that they would need to be shared with the president’s national security adviser. A former national security official told CBS News that when such information on U.S. individuals is approved and provided by the intelligence community, it is typically given directly to the senior official who made the request and is not broadly disseminated. On some occasions, the official added, it is necessary to know the identity of U.S. persons in order to understand the context and substance of the intelligence. There is nothing improper, unusual or political about such requests. President Donald Trump tweeted last month that Trump Tower had been wiretapped by President Obama, a claim for which there is still no evidence. Later, House Intelligence chairman Rep. Devin Nunes, R-Calif., said he had obtained evidence showing that the names of Trump associates that were swept up incidentally by intelligence agencies had been unmasked. That evidence is believed to have been provided to Nunes by the White House. Rice had said that she was unaware of the names of Trump officials being swept up incidentally by intelligence agencies. “I know nothing about this,” she told “PBS NewsHour” last month when asked about Nunes’ claim.